Our solutions were created with the understanding of the difficulty for SMEs to succeed on the stock market. Our models were created to take advantage of the potential that actually lies in being publicly traded. Our four innovators are all experts within three different key areas vital for your success. With accumulated experience from a professor of mathematics, a former chief supervisor for some of the most prestige stock markets, and two experienced CEOs from several listed companies, we have developed our unique solutions. Björn Wallin has experience as a CEO, CFO, Head of Mergers & Acquisitions and board member for several listed Swedish growth companies. He has also been the Listing supervisor and CEO at Nordic Growth Market, and was a director of GXG Markets, both regulated Scandinavian exchange markets. Björn has an extensive international experience derived from leading positions in several companies with an extensive global network. He was also invited to serve as adjunct member of the Swedish Corporate Governance Board, and has been a frequent speaker in Sweden on topics that include corporate governance and listing issues. Mats Wilhelmsson has played an important role in the Swedish financial markets over the past 30 years. Mats has a background that includes; stockbroking in some of Sweden's leading stock exchange firms, responsible for market surveillance on the Stockholm Stock Exchange, Nordic Growth Market, Nasdaq Dubai and the Swedish Financial Supervisory Authority. Mats was a founder of Scila AB, one of the leading suppliers of systems for surveillance of trading in securities. For many years, Mats was an representative of the Intermarket Surveillance Group, FESE Working Committee and the CESR Pol. Anders Karlsson, professor of mathematics and has been commissioned as a professor of both the University of Geneva and Uppsala University. Earlier also Lecturer at the Royal Institute of Technology and Visiting Assistant Professor at Yale University and Research Fellow of the Royal Swedish Academy of Science. Anders has several prestigious awards such as the Fulbright Fellowship, Wallenberg Prize, Edlund Prize, among others. 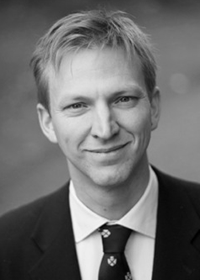 Henrik Holm has many years of experience from being a founder, President, Member and Chairman of the Board of several Swedish listed growth companies. He has also played a leading role in Brokerage House and gained broad experience in the work of financing of listed companies. Henrik is an entrepreneur who has helped many startups and growth companies.